Posted By Edward, 4th Apr 2018. 3 Minute Read. What I love about designer bathrooms is that they offer something unique, something you haven't seen before, something that breaks away from the norm. Designer spaces are all about amazing standout features like gorgeous freestanding baths, bold flooring or beautifully chosen bathroom furniture. 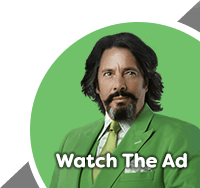 It's a common misconception that the designer look is out of reach for people that haven't had their numbers come up in the lottery lately. With the age of the internet upon us, more and more people are getting online and buying designer bathrooms for a lot less than in the past. The success of VictorianPlumbing.co.uk has been built on the fact that we have no physical stores and therefore we can pass on those savings to our customers online. That said, which designer products are right for you and the plans you have for a new bathroom? In this designer bathroom guide we will be revealing the products that Victorian Plumbing customers have been buying to achieve the designer look without the designer prices. The easiest way to get the designer look in your home is to invest in a designer bathroom suite. These luxury suites typically consist of a toilet, basin and a freestanding bath. There are some really nice options to choose from in both the contemporary and traditional styles. Designer suite prices start from around the £550 mark. If you're in the market for a smaller bathroom or ensuite then maybe consider an ensuite package. 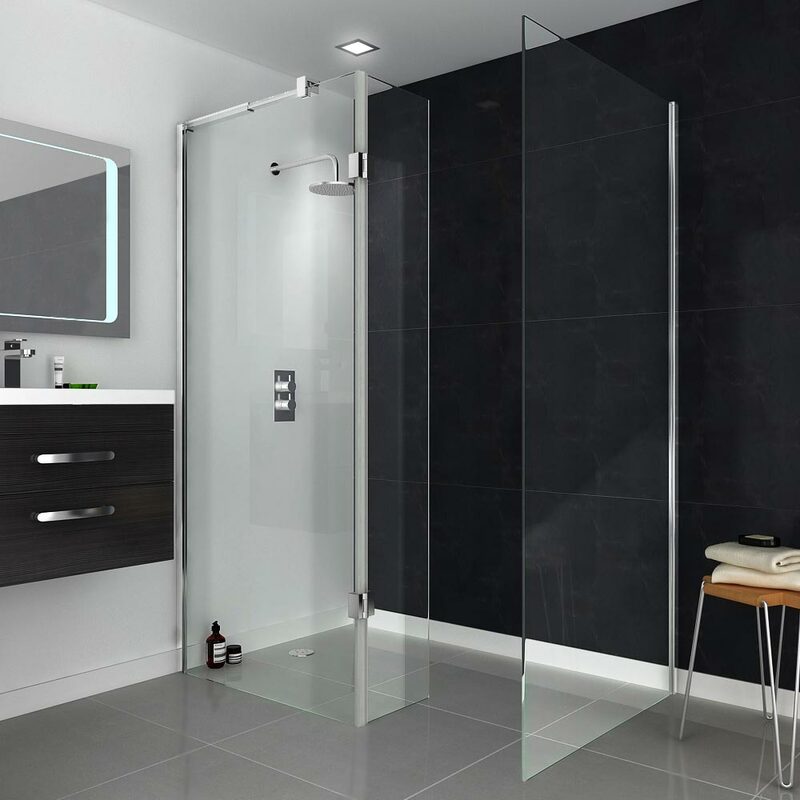 An ensuite package is essentially the same as a designer bathroom suite however the freestanding bath is exchanged for a luxurious shower enclosure. Ensuite packages start at a modest £230. 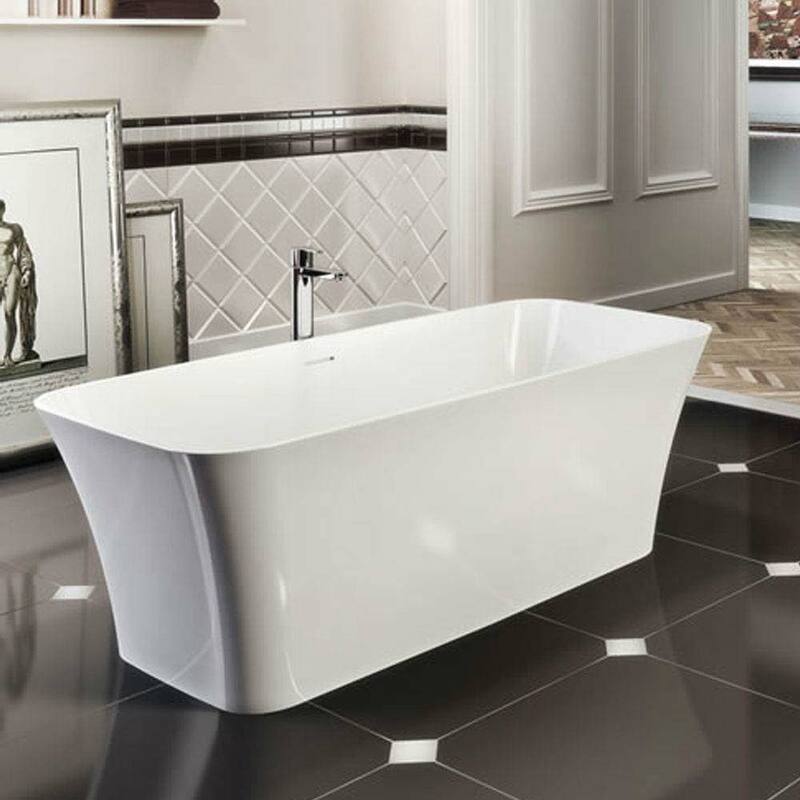 A Freestanding bathtub can instantly upgrade any bathroom to designer status. These luxury fixtures ooze opulence and splendor however buying one for your bathroom renovation is not an unattainable goal. 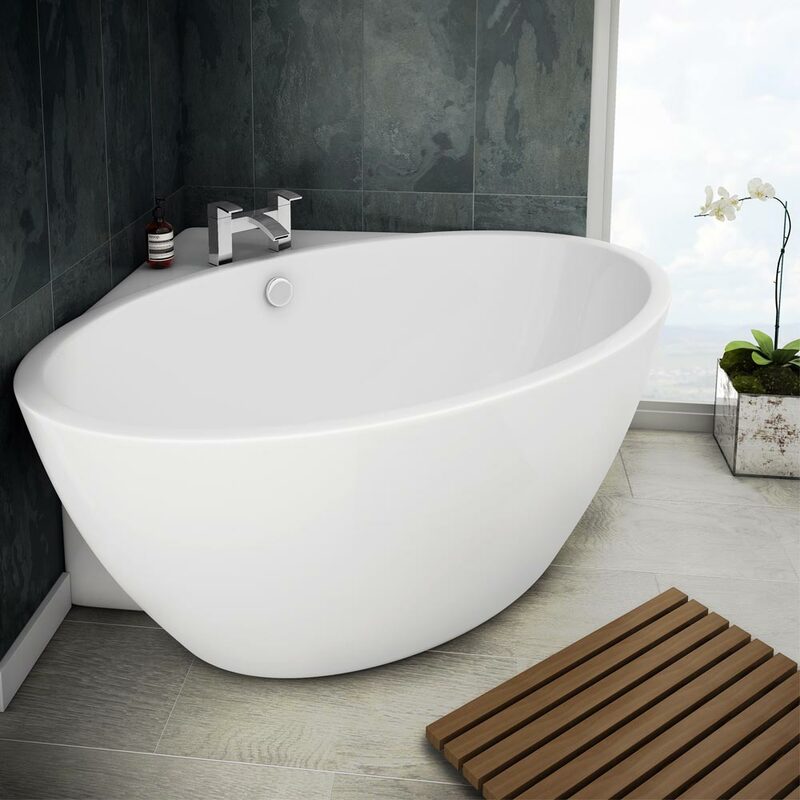 The price of freestanding baths has come down dramatically in recent years meaning you can now buy one online for under £500. 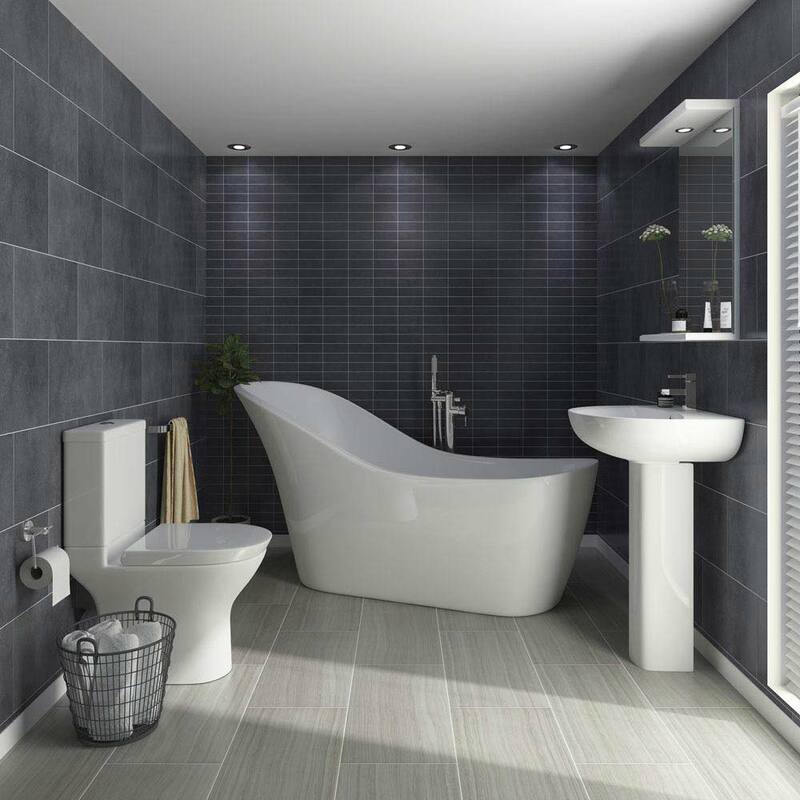 Space is a factor when deciding whether to go for a freestanding bath however there are now corner freestanding options that take less room on the floor of your bathroom. A freestanding bath positioned against the wall of your bathroom also opens up the option to add a stylish wall mounted tap. Designer radiators are those statement heating fixtures that you may have seen in glossy magazines and gorgeous bathroom lifestyle pictures. Available in a multitude of über-stylish shapes and sizes; designer radiators come in a number of desirable finishes like black, white, chrome and anthracite. 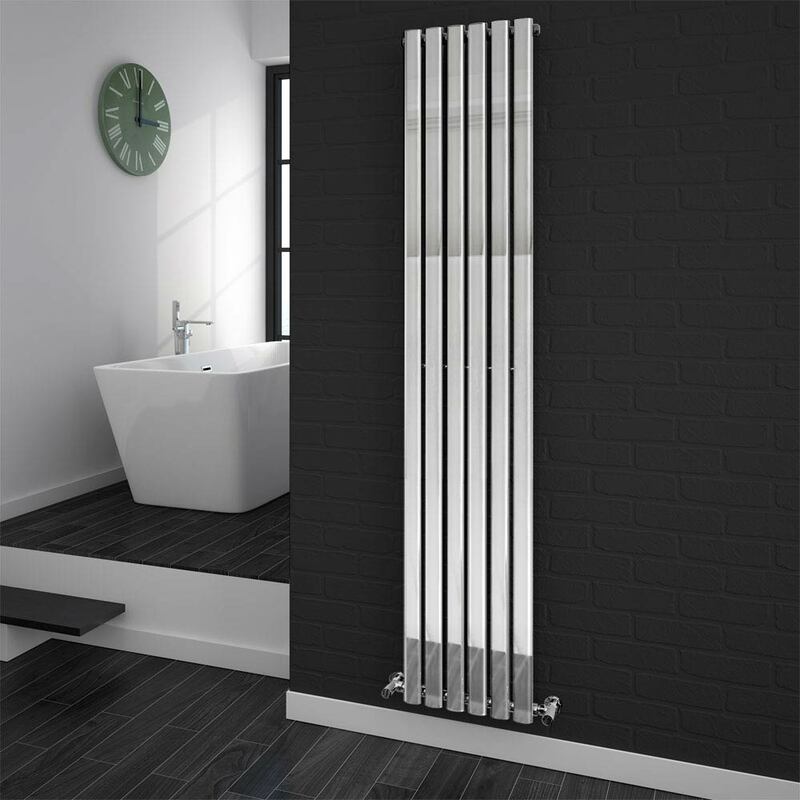 If you're looking for something a little different then maybe consider a designer radiator with an integrated mirror or even a built-in television screen. Another idea is to keep your eyes peeled for radiators in bespoke unconventional shapes like the Hudson Reed Xcite twisted design. For thousands of years, natural stone has been considered the must-have material of the wealthy. While it might be somewhat aspirational, natural stone fixtures don’t have to cost the earth, as our designs demonstrate. Think of a natural stone bath, for example, as an investment - you’ll definitely feel the benefits as they are brilliant at keeping the water heated for long periods of time. We have recently revealed a new version of our hugely popular Chatsworth range of bathroom furniture. This new range of Victorian inspired vanity units come complete with an exquisite marble countertop; prices start from £400. Why not complement your Chatsworth vanity unit with a marble bathroom tile. A great match is our Florence marbled floor tile. A vanity unit is a great addition to any bathroom. These stylish space-saving bathroom fixtures have become massively popular in recent times so it's a no-brainer to include one in your bathroom design. 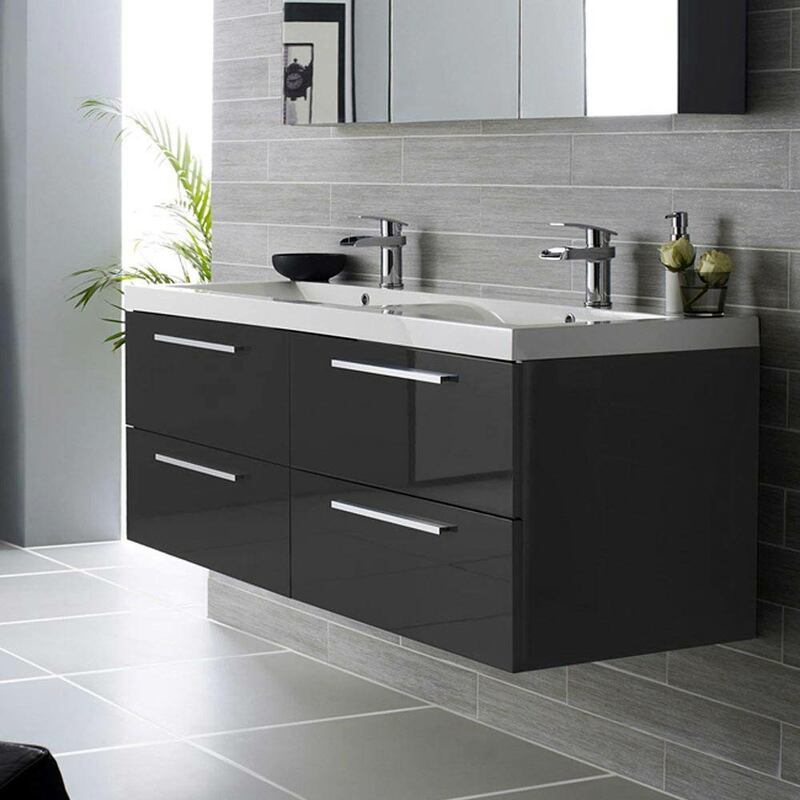 One way that a vanity unit can apply the designer edge to your bathroom is to include a double vanity unit. As well as giving you two integrated basins side-by-side and plenty of storage, a double vanity is a 'statement' feature. As you may imagine, these 'statement' features can be a little expensive; this oak double vanity from Miller bathrooms is a prime example what you could spend if money was no object. Another option that has the same appeal but a more down-to-earth price is the high gloss double vanity from designer brand Hudson Reed. Can you imagine this wall hung unit as the centrepiece of a modern high gloss bathroom? A walk-in wet room is the last word in showering luxury. Think of the feeling of open space as your waterfall effect shower gently massages your head. Pure bliss - but does that luxury come at a premium? As you'd imagine, a walk-in wet room costs more than say a conventional shower set up, however it's more affordable than you may have thought. We break it down below. Obviously you're going to need a walk-in shower unit. These units start from as little as £200, our Saturn range is definitely worth a look. Most walk-in units come with an integrated shower tray however these can also be bought separately if you prefer. After you have your glass in place it's then time to think about your shower. 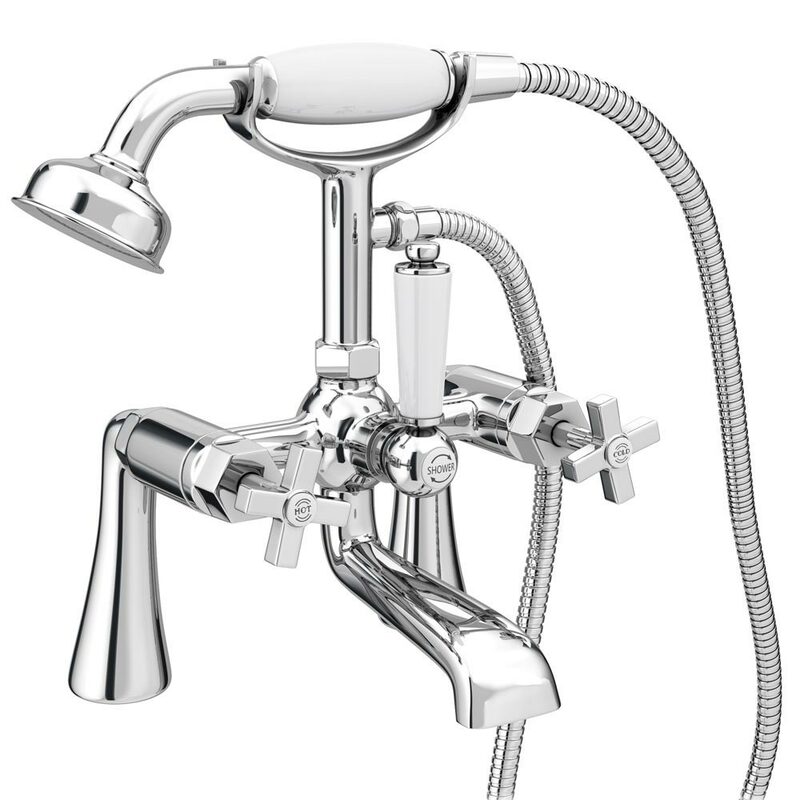 Of course you could opt for a trusty electric or power shower however a more luxurious choice would be a combination of overhead shower head, individual body jets and independent shower valve. Once again you can either buy these fixtures separately or as a complete shower package. Super-simplistic and minimalist designs are a surefire way of achieving the designer look. As well as an integrated, bespoke feel to the room; a designer bathroom will also have those gorgeous 'wow' features that makes it standout from the crowd. 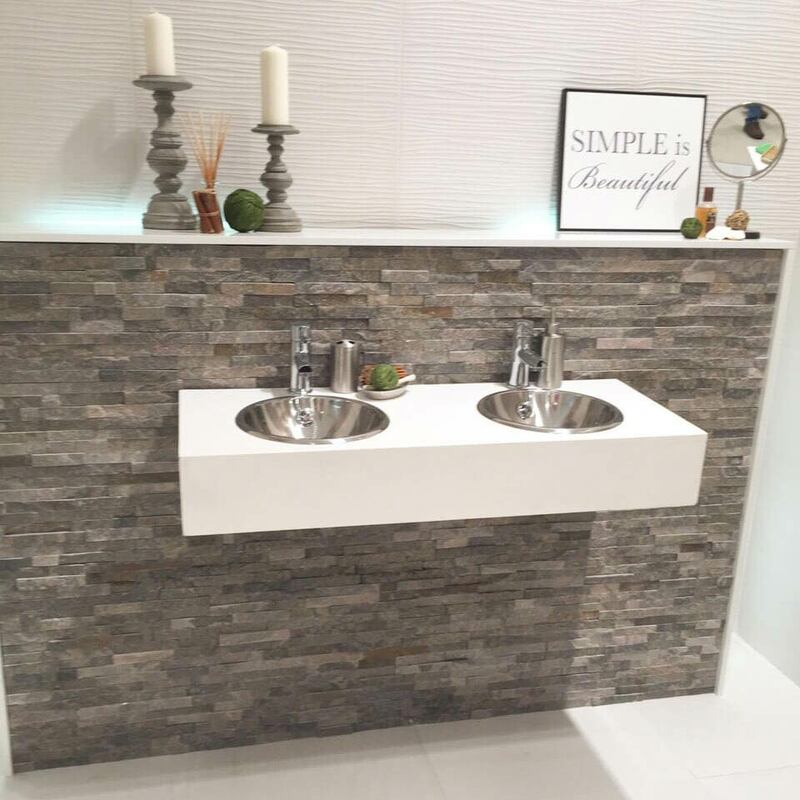 One potential 'wow' feature I would like to draw your attention to is stone wall cladding bathroom tiles. These slate-effect tile panels are available in an eclectic range of colours. The ranges to look for on our website are called Amaro, Snowdonia and Alps. Consider using these tiles as a rustic effect behind a wall hung vanity unit or to tile an alcove of your bathroom. Well chosen basin and bath taps are a fantastic way to complete the look of your designer bathroom. Why not go for a bold design or a standout colour? Rose gold taps are on trend right now as well as both black and gold taps. Another option to consider is an art deco inspired tap; our Olympia range of crosshead art deco taps certainly offers something unique. If you have decided to choose a freestanding bath for your new bathroom then other than a wall mounted tap, another option is to install a freestanding tap. These stunning features are plumbed straight into your bathroom floor and are available in both modern and traditional styles. Bohemian floor tiles are a great designer choice that can be the stand out feature that ties together the look of your entire bathroom. We covered this style of tile in our recent bathroom tile guide and a superb way to use this tile to designer effect is to create a minimalist canvas across the rest of your bathroom. Think white metro tiled walls, white freestanding bath, white toilet and vanity all above a Bohemian tiled floor. 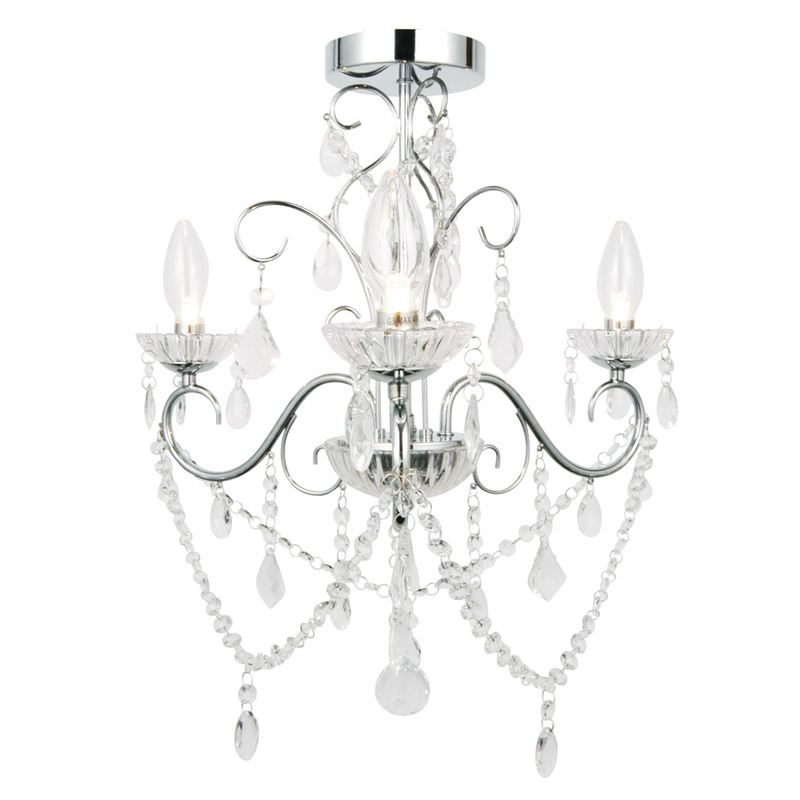 If you want to give your designer bathroom a dramatic focal point then a bathroom chandelier is a beautiful option. Rather than the huge crystal light fixtures you may have seen in stately homes, modern bathroom chandeliers are a stunning yet affordable lighting idea. If you're warming to the idea of adding a chandelier to your own designer bathroom then two products you should take a look at our Vela 3 light chandelier and the Ursa 4 light arrangement. If you've decided that you would like to plan a designer bathroom for your own home then remember that the designer look isn't necessarily all about particular fixtures and designs but instead what makes a bathroom designer is that it has something that's instantly recognisable as different from what you're used to seeing. Hopefully the ideas and inspiration you've read in this guide has set you along the right path. In need of more modern over designer inspiration? Check out these 26 modern bathroom ideas which are actually doable. If you have any questions or would like personal advice from me then please feel free to comment below or get in touch via the Victorian Plumbing Facebook, Twitter and Google+ pages. Thank you for reading and good luck with your designer bathroom. Keep warm in style this winter.